Just received a scam IRS call. 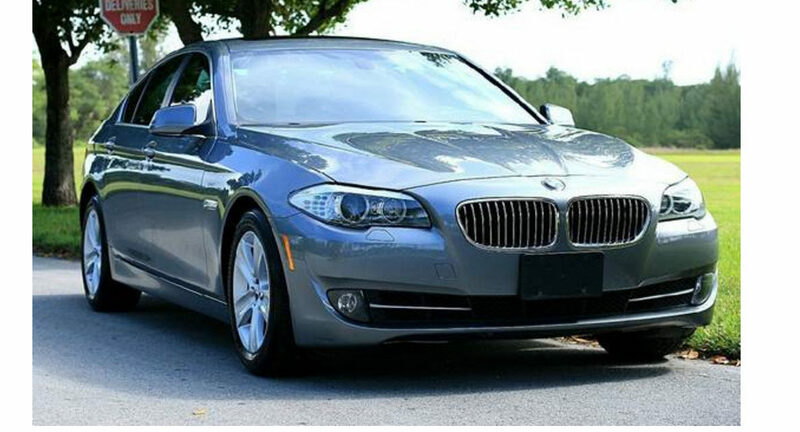 The Caller ID is New Windsor, MD 410-635-5824. It is a robo call. It is NOT trying to hide the fact that it is an automated call. The IRS does NOT call you. They send a letter. 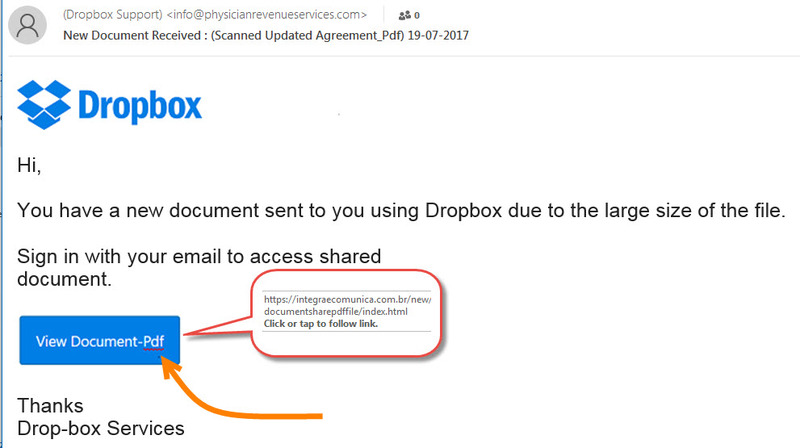 Do not fall for this scam. These never stop coming. 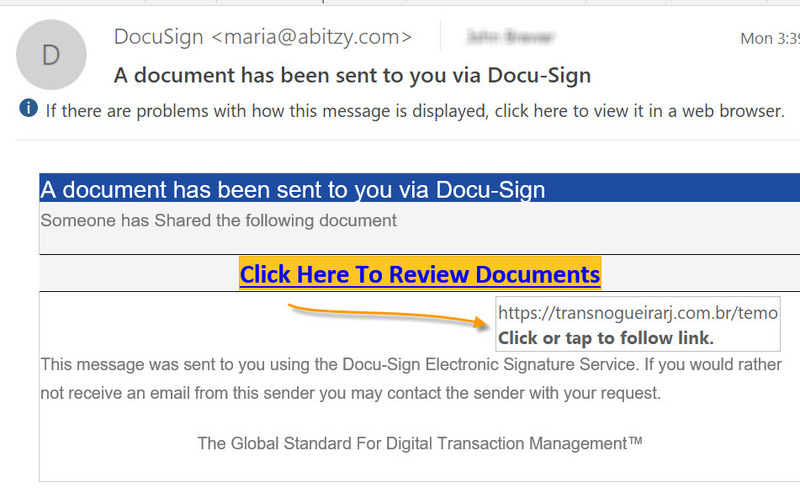 Thought it was rather humorous that whatever they used to created the button didn’t like the spelling of Pdf. Said site is blocked by Chrome from access. 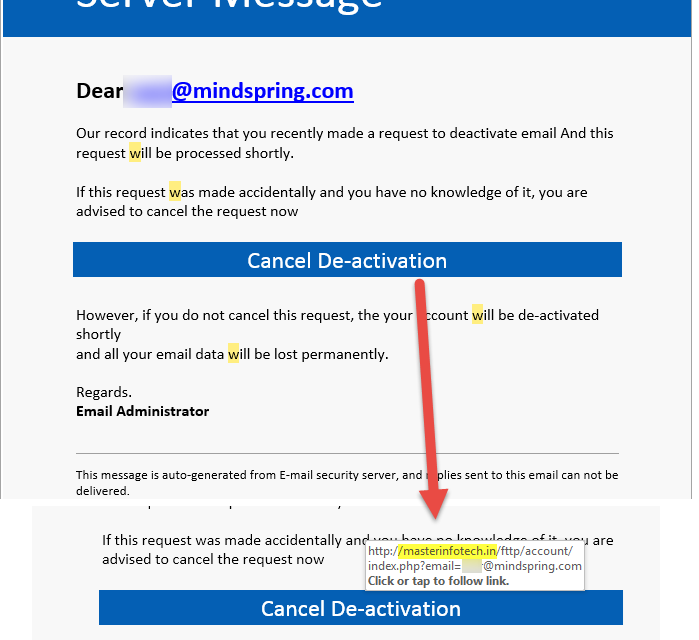 For anyone using web-bases email: gmail, yahoo, aol, mindspring, etc, this fake could getcha. It is a credentials grabber. Watch out. 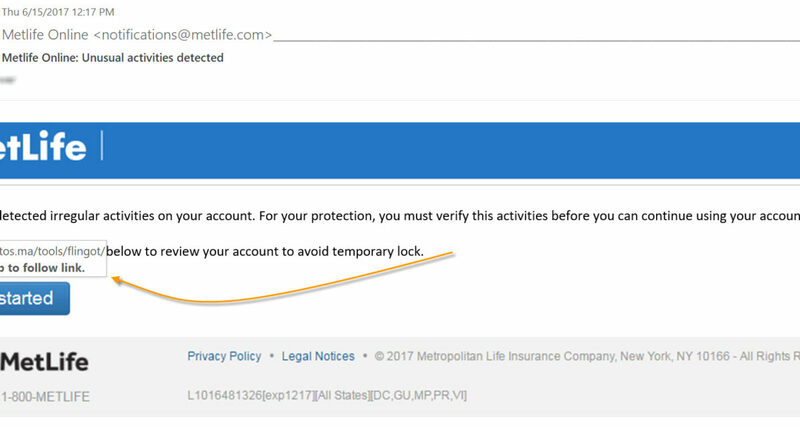 Fake email “from” MetLife. Looks real enough, sure. 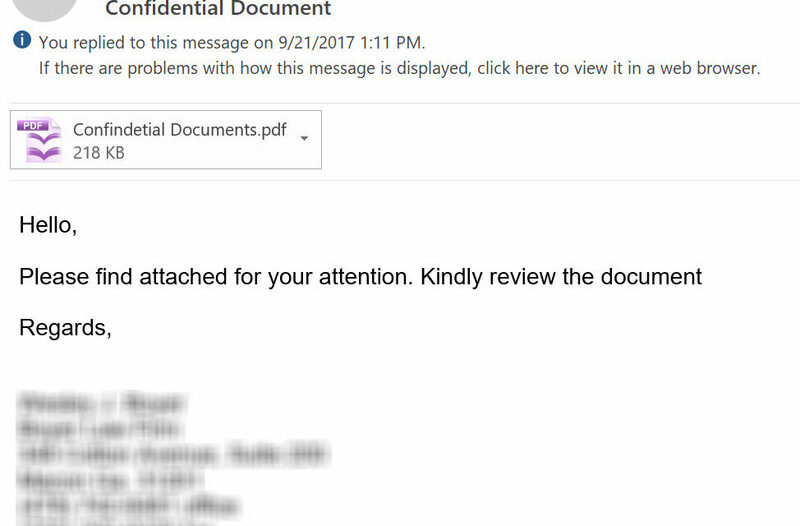 Hold your mouse over the button and you’ll see this isn’t taking you to MetLife.com but some site containing malware, ransomware or phishing forms. Watch our for the fake emails folks. 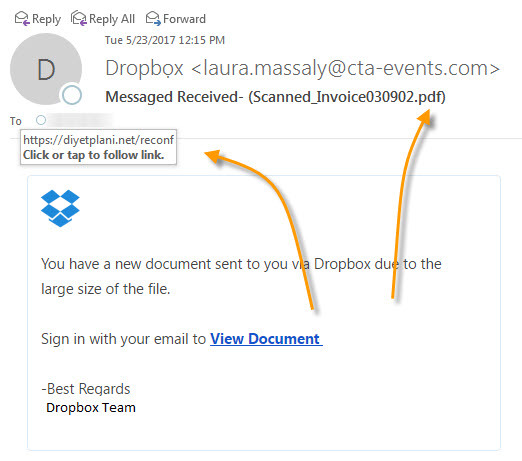 https://emailscamalert.com/wp-content/uploads/2017/05/drop-box-fake.jpg 461 522 Scam Alert Editor Scam Alert Editor That’s No PDF!